One of the most distinct but least understood characteristics of sleep are Dreams, during which our thoughts follow bizarre and seemingly illogical scenarios, sometimes random and others related to experiences gathered during wakefulness. Intense dreaming occurs primarily during REM sleep although not all dreams occur during this period. For example, night terrors actually occur during non-REM sleep. 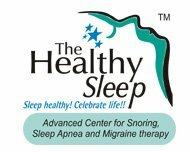 It is very obvious that sleep is extremely important and has numerous health benefits. We know that going without sleep for too long makes us feel terrible and that getting a good night’s sleep can make us feel ready to take on the world. Scientists have gone to great lengths to fully understand benefits of sleep. While studying about sleep patterns in humans and other animals, it has been found that sleep plays a crucial role in various body functions like immune function, learning, memory, metabolism and other vital functions. The feature in the upcoming section explains in detail these discoveries and describes ways in which we all benefit from sleep. While we may not often think about why we sleep, most of us agree to the fact that sleep makes us all feel better. We are more alert and energetic, happier and are able to function far better after a good night’s sleep. However, the fact that sleep makes us feel better and that going without sleep makes us feel worse only begins to explain why sleep might be necessary. One way to analyze the function of sleep is to compare it with another of our life-sustaining activities: eating. Hunger is a mechanism that has evolved to ensure that we consume all the necessary nutrients our bodies require to grow, repair tissues and function properly and although it might seem easy to grasp the role that eating serves— given that it involves physically consuming the substances our bodies need—eating and sleeping are not as different as they actually seem. Both eating and sleeping are regulated by powerful internal mechanisms. Going without food intake produces sensation of hunger, while going without sleep makes us feel overwhelmingly drowsy. Just as eating relieves hunger and ensures that we get all the required nutrients; sleeping relieves sleepiness and ensures that we get much needed sleep. Still, the question remains: Why do we need sleep at all? Is there a primary function of sleep, or does it serve multiple functions?